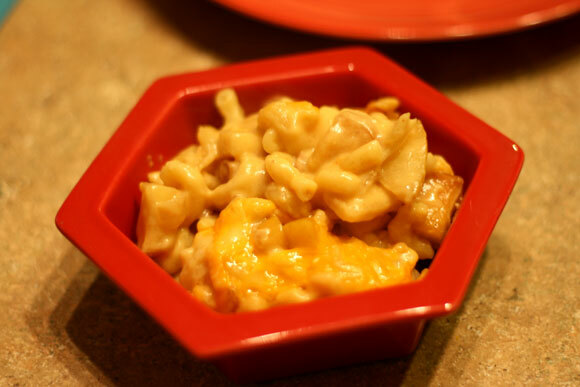 This Apple Bacon Mac and Cheese is the best mac and cheese I have ever made. The cheese sauce turned out just right and was super creamy and delicious. The apples and bacon added a nice flavor and crunch to the dish. You have to give this recipe a try! Bring a large pot of water to a boil. Salt water and cook pasta until al dente, about 4-5 minutes. Place sliced leeks in a colander in the sink. Drain the pasta over the leeks to soften them. Meanwhile, cook the bacon in a large skillet over medium heat until crispy. Use a slotted spoon to transfer bacon to a paper towel lined plate. Pour off all but 1 Tablespoon bacon fat from pan. Add the apples to the skillet with the bacon fat and cook over medium heat until they begin to soften, about 5 minutes. Reserve in a large bowl. Melt butter over medium heat in a medium sized saucepan. Whisk in the flour and cook for 1 minute. Whisk in the milk until smooth and thickened. 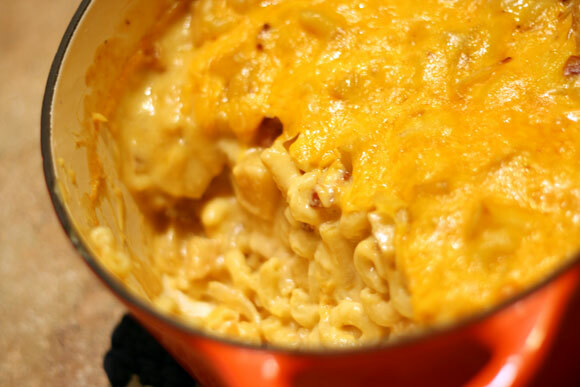 Remove from heat and whisk in 1 1/2 Cups shredded cheese and season with salt and pepper. Whisk until smooth. To the bowl with the apples, add the pasta and leeks, cheese sauce and bacon. Fold together until combined. Season to taste with salt and pepper. Pour into a baking dish and sprinkle with remaining cheese. Bake until hot and bubbly, about 30 minutes.